To heal acne scars and pimple marks naturally, there are a lot of natural remedies, but what we need to remember is that these natural treatments may take more time to bring results and surely some patience. If you try some home remedies to reduce acne scars and marks, you should wait for at least one month to experience results and of course, if during the first week of treatment, your skin becomes irritated, then you need to try out a different method. Also, before you try out any natural recipe on your skin, you should perform a patch test to see whether you have an allergy or reaction to any of the natural ingredients used. Generally talking, remember that a healthy diet that is free of processed and sugary foods is also very important to your skin clearing up of acne scars or acne. 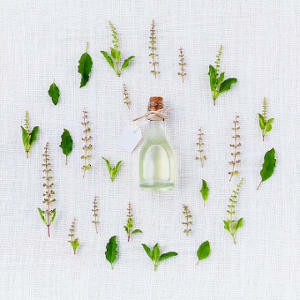 Essential Oils with anti-microbial, anti-inflammatory and skin repairing properties such as lavender oil, frankincense oil, lemon, tea tree oil and others combined with carrier natural oils or gels such as jojoba oil and aloe vera gel are good for reducing acne scars and prevent acne breakouts. Two other natural oils that are great for scars and dry skin is vitamin E oil and Rosehip Oil. Herbs and other natural ingredients that are also good for acne scars is sage, mint and basil as well as turmeric powder and fenugreek essential oil. So, let’s see now some more details about the functions of each oil and how to use them in our natural recipes. Before using Frankincense essential oil in any natural recipe, always remember not to mix it with rosemary essential oil. Frankincense oil is ideal for treating skin infections or other skin problems because it has strong therapeutic, antiseptic and healing properties. It protects the skin cells, prevents skin infections, promotes the regeneration of the skin tissues and therefore fades away acne scars and marks. To make a natural recipe for acne scars, you can mix Frankincense oil with coconut or grape seed oil and apply on the damaged skin areas. Aloe Vera is one of the most common natural ingredients to treat acne scars. You can buy it in the form of gel or even juice. Both of them help reduce acne marks and prevent the formation of new ones, making your skin look healthy and bright. You can daily use aloe vera on the scarred skin areas and further on in this article we have some recipes with aloe vera gel and other natural ingredients. Lavender oil is ideal for acne scars and marks. It has strong anti-septic and anti-bacterial properties, it is anti-inflammatory and good for skin tissue regeneration. You can mix lavender oil with aloe vera gel or coconut oil and use it on acne scars every night before going to bed. Before mixing the following essential oils with jojoba oil, you need to check that you don’t get any reaction to any of them. – 10 teaspoons of Jojoba Oil. – 5 drops of Jasmin essential oil. – 5 drops of neroli essential oil. – 5 drops of palmarosa essential oil. – 5 drops of wild rose essential oil. – 5 drops of sandalwood oil. If you want to prepare more quantity of this mixture, you can keep it preferably in a dark amber glass bottle up to a month. Use it on a cotton pad and apply on the scars or marks, leaving it on for around 30 minutes. Then, rinse off with lukewarm water and pat dry your skin with a clean cotton towel. Afterwards, use a good moisturizer or some aloe vera gel. You can perform this natural acne scars’ treatment every day as long as you have checked that none of the ingredients have caused any reaction to your skin. If you see that you get a reaction to any of them, don’t use it in the recipe. – 4 teaspoons of jojoba oil. – Half a teaspoon of fresh lemon juice. – Half a teaspoon of aloe vera gel. – 5 teaspoons of basil essential oil. Mix the ingredients very well and apply the mixture on a cotton pad and then onto the scars. Leave it on for 20 minutes and then rinse with some lukewarm water. Pat dry with a cotton towel and apply a moisturizing cream, aloe vera gel or some natural oil like rosehip oil or coconut oil. In conclusion, the above natural home remedies can help you heal acne scars and marks faster. When treating acne scars, always remember to keep your skin perfectly moisturized and calm, so it is better to avoid all chemical laden skin care products and remember that less in more. Finding a skin care range of products for sensitive and acne prone skin is also a good way to keep away from harmful products.